Giveaway Winner and Happy Super Bowl! Hope all you Bloom Babes are having a great Super Bowl Sunday! Adam and I just got back from a great, relaxing and WARM week in Jamaica. It has been nice to have today to unpack and get our lives back in order after living out of a suitcase. I am so excited to announce the winner of Bloom’s Among Friends Giveaway tonight! As a newbie blogger it is so fun to see everyone’s responses. 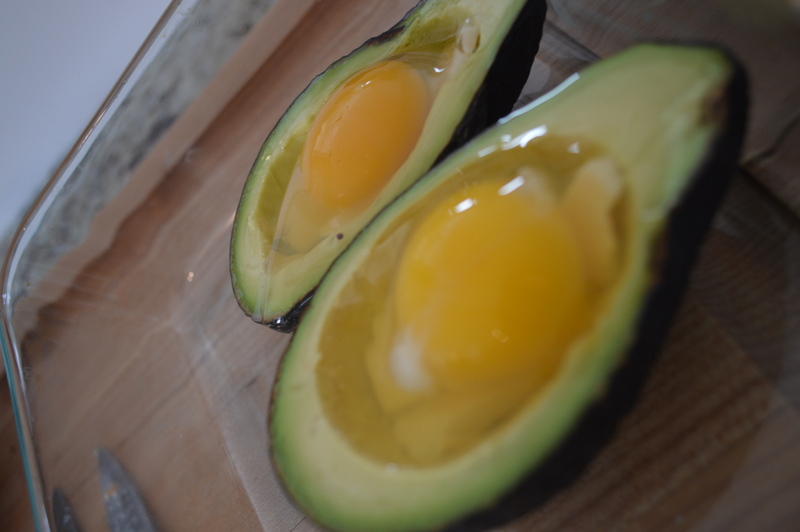 I love that I asked for your favorite ways to prepare eggs because it left me incredibly inspired. 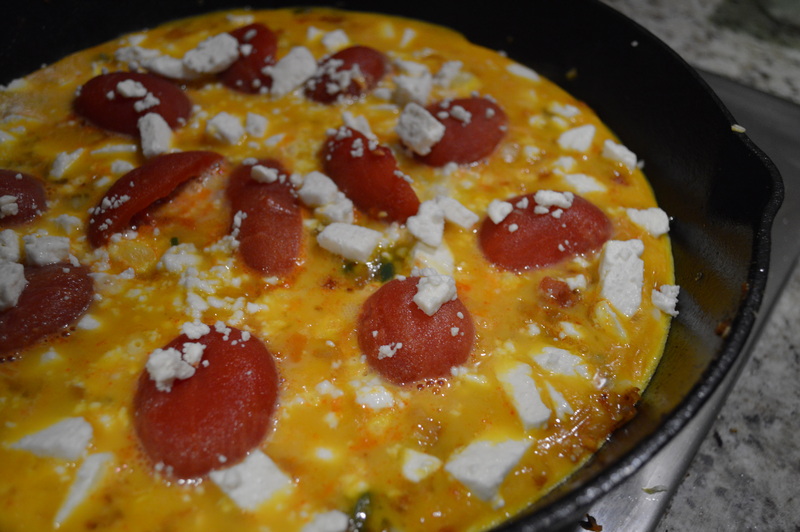 From fried eggs in burgers to goat cheese in omelettes, ya’ll have made me want to get back on the wagon after a week in frozen drink paradise. Thank you for all your entries! And, a BIG thanks to Among Friends for their amazing product for this giveaway. Even if you aren’t a winner be sure to check out their store locator to find the products somewhere near you! And now without and further adieu…. 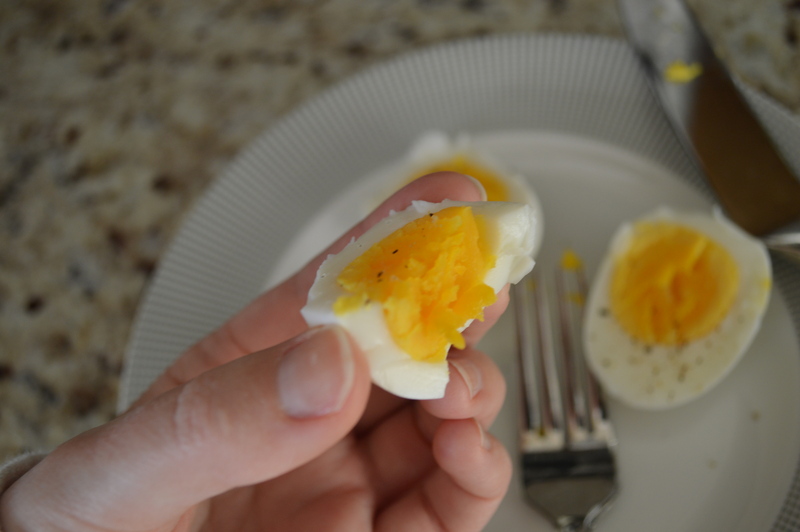 Becca shared her mother’s secret to Deviled Eggs– Horseradish! … This is something my husband, the lover of all things spicy, would LOVE. Becca- I will shoot you an email to figure out shipping the products to you! Again, thank you all! 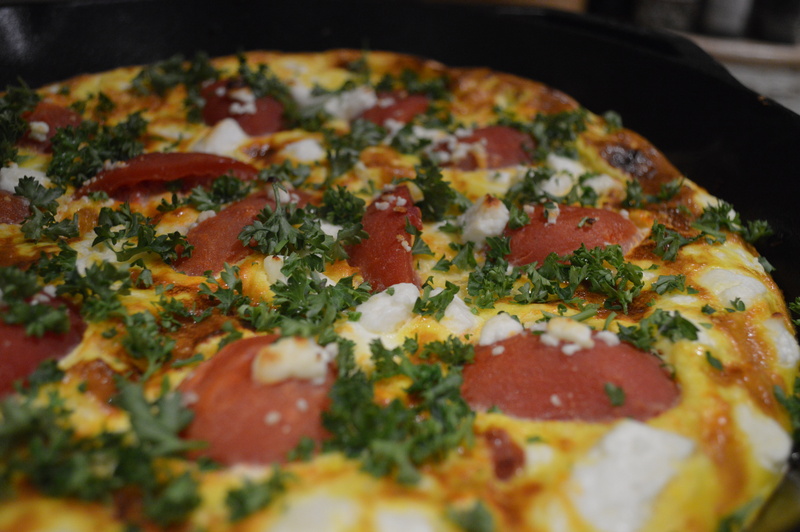 Enjoy the Super Bowl whether you are in it for The Seahawk’s, The Bronco’s, the commercials, the beer, or the food! – Today is the second biggest day for most food consumption in America. The first is Thanksgiving. – Dips are a Super Bowl Star. 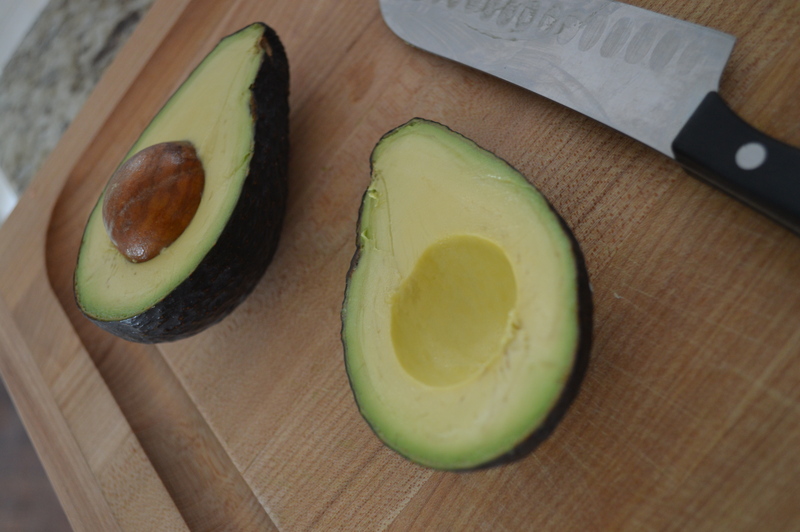 Guacamole being a crowd favorite means that 208 million haas avocados will be consumed tonight. – 1.25 Billion Chicken wings will be consumed this Super Bowl, according to the National Chicken Council, and it is also the 50th Anniversary of the Buffalo Wing. In my book, that is something worth celebrating! Enjoy! Have fun! And, may the best team >cough, BRONCOS, cough< WIN!! 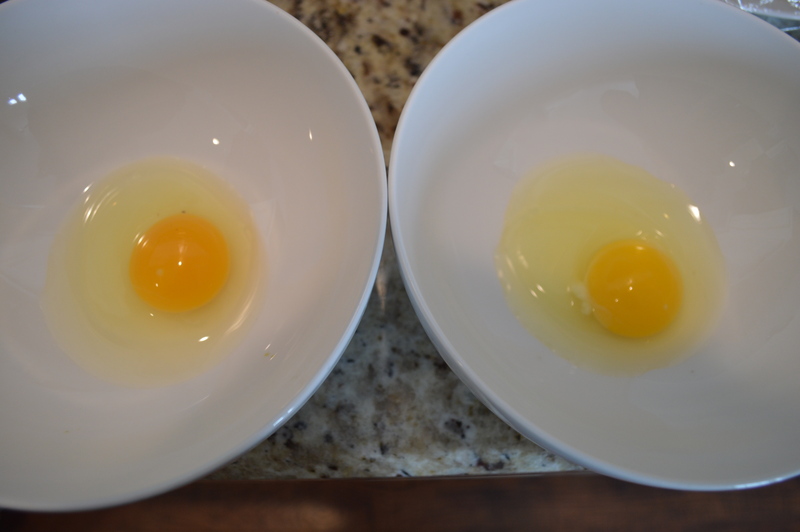 So, yesterday I wrote about the physical and taste differences of fresh eggs versus commercial and if you’re still not convinced that fresh is better, let’s talk about the health differences. 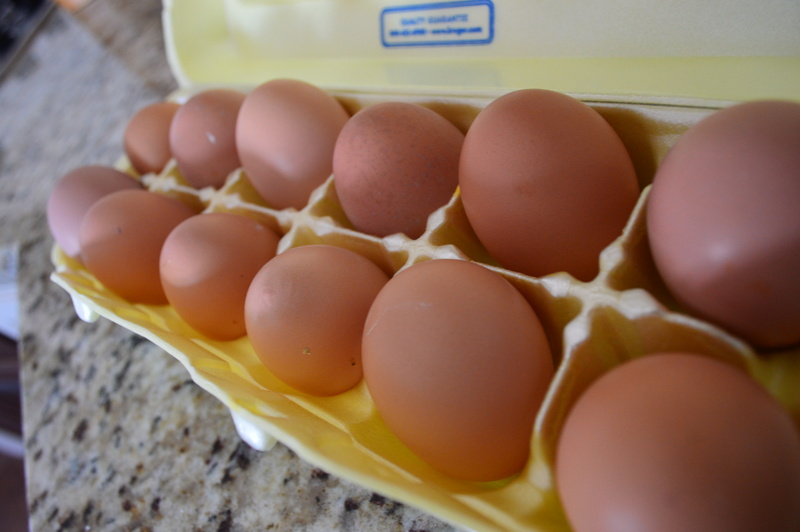 There is a lot of evidence out there that shows that eggs from hens that range in a pasture are much better for you. 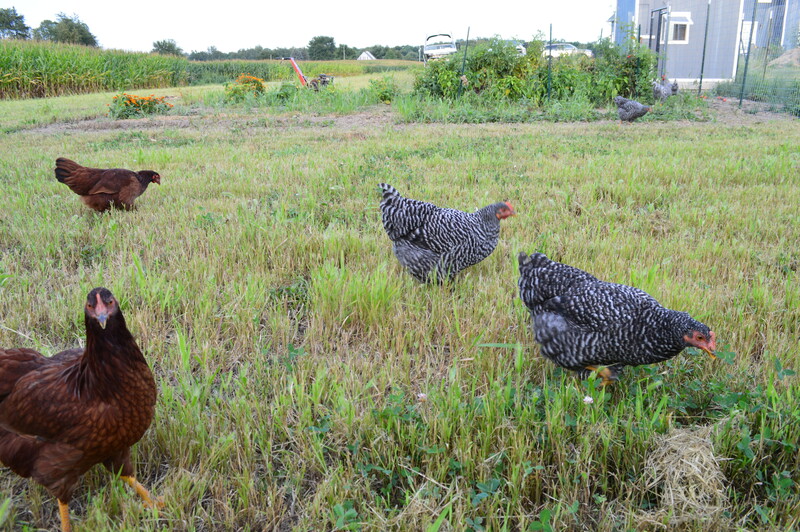 In fact in 2007 a popular homesteading magazine, Mother Earth News, did a study on flocks of chickens across the nation and found that fresh eggs are much better than conventional eggs. 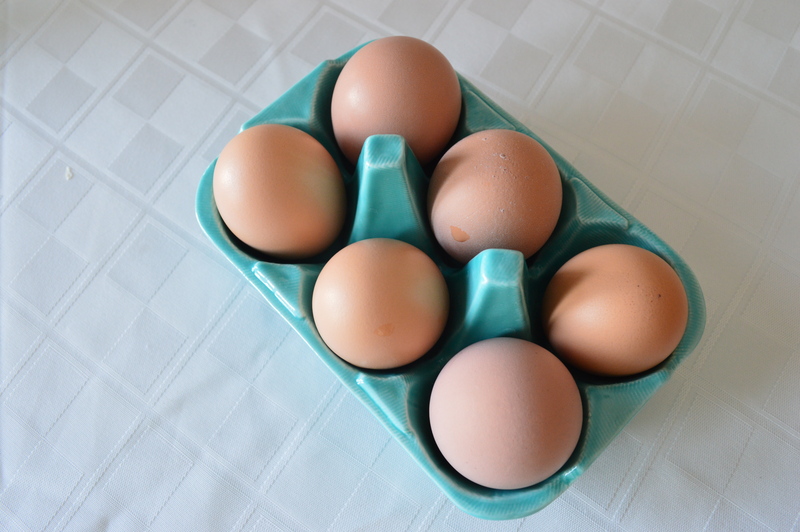 Fresh eggs have 1/3 less cholesterol, ¼ less saturated fat, two times more omega-3’s, and 2/3 more vitamin A, three times more vitamin E and seven (… SEVEN!) times more beta carotene than confined eggs. With all the excellent nutrients I have been getting this week with my egg themed meals, I decided that I deserved some chocolate chip cookies. 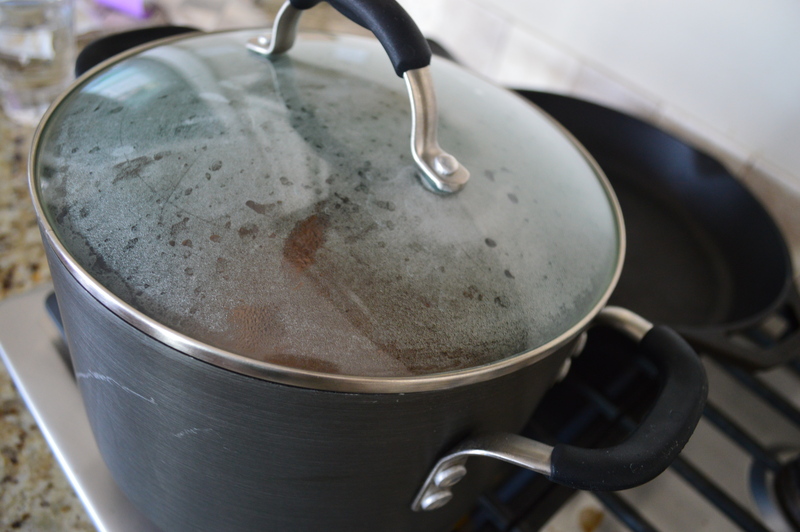 Not to mention, when it’s as cold and snowy as it has been all week, it’s hard not to bake something. For Christmas my dad put a cookie mix in my stocking from a company that one of his old colleagues is a part of. 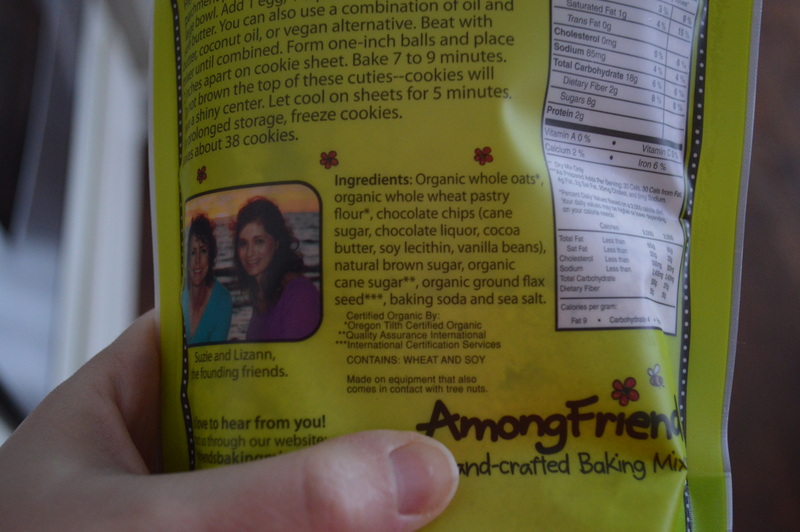 The company is called Among Friends and they produce baking mixes that are verified Non-GMO, Whole Grain and Gluten Free. I had the pleasure of learning a little bit more about the company this afternoon. 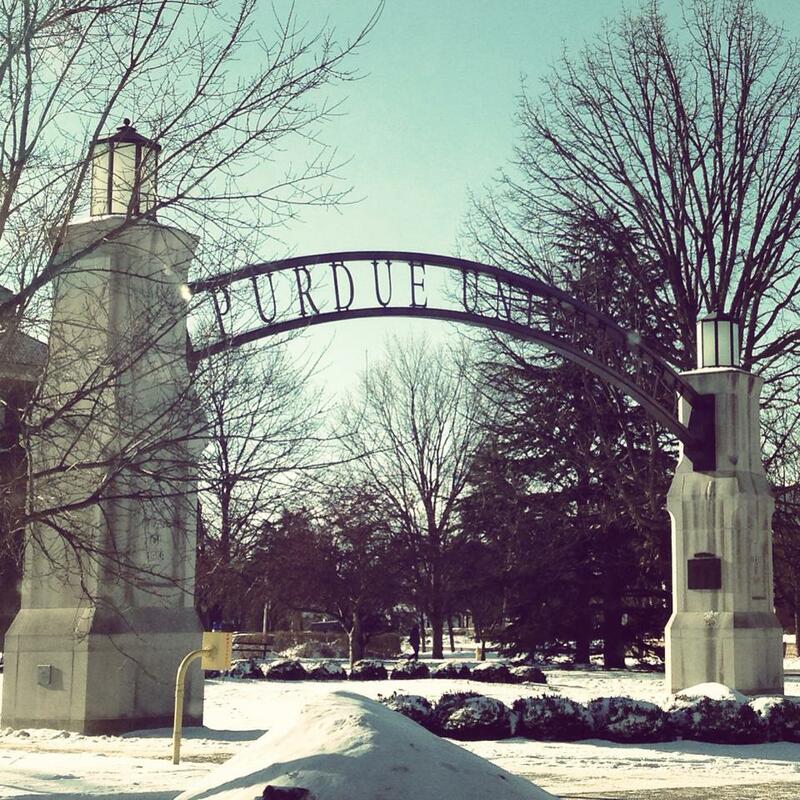 The company was started by two girlfriends, Susie and Lizann, out of Ann Arbor, Michigan. Their mission was simple: They wanted a good product to feed their children. They love baking and creating memories with their children through baking. They wanted to create an experience for their children with the aromas of freshly baked cookies as they hopped off the school bus after a long day at school. … But, they knew that mom’s are busy and have long days too. So, they made their mixes easy and clean. Containing no starches, no fillers, no gums, and no white flour and requiring moms (… and other consumer’s alike!) 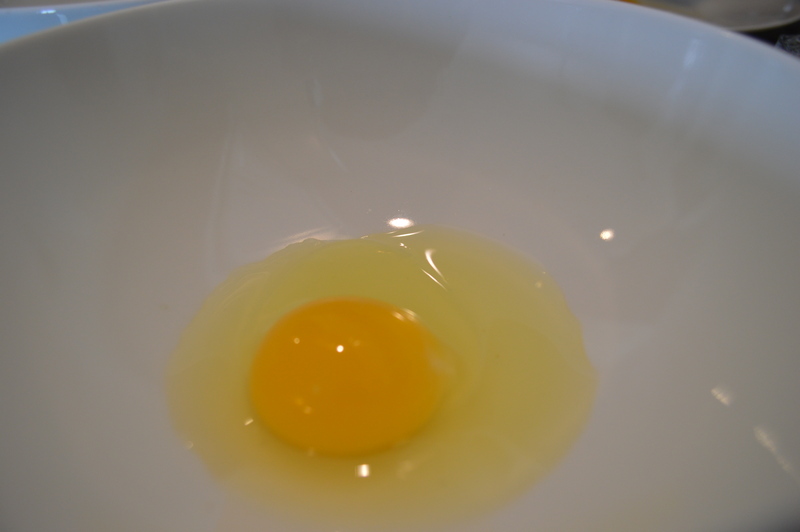 to simply add an egg, some butter, and a splash of vanilla extract. 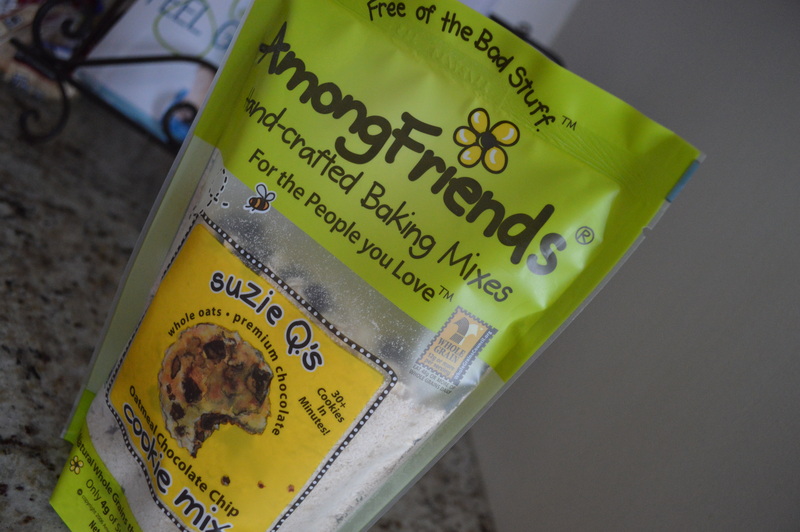 Among Friends boasts six mixes that pack all the aroma and flavors, but none of the other junk. 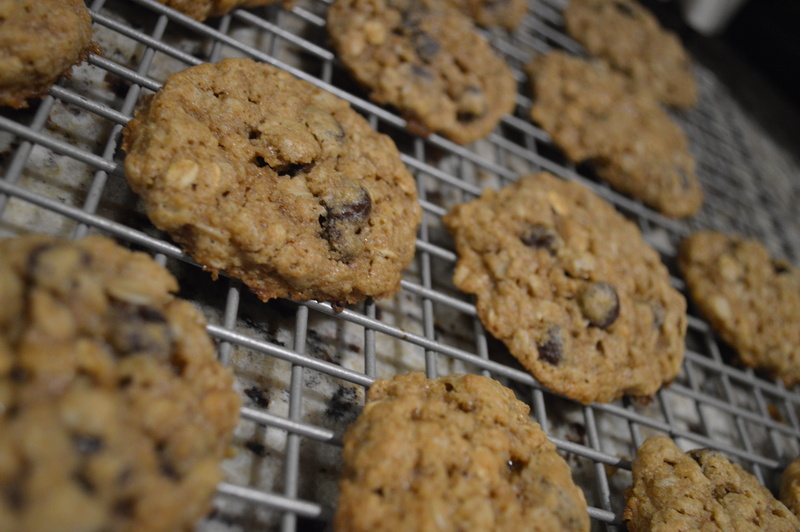 Using one of my backyard eggs, I made the Suzie Q’s Oatmeal Chocolate Chip Cookies. They are whole grain and were a perfect snack. And, even despite the whole grains, my dear manly man gobbled them up. I look forward to trying their other flavors like Phil’s Eat ‘Um Up Gluten free Cranberry Chocolate Chip (Umm… sounds like a party in a cookie!) and CJ’s Whole Grain Double Chocolate Chip (This has a hint of espresso… chocolate and coffee? Two of my favorite things!). 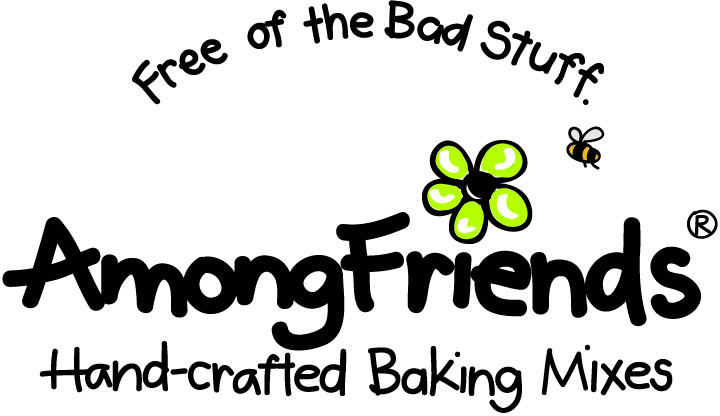 Check out their website: http://amongfriendsbakingmixes.com/ to see the other flavors and find the mixes in a store near you! 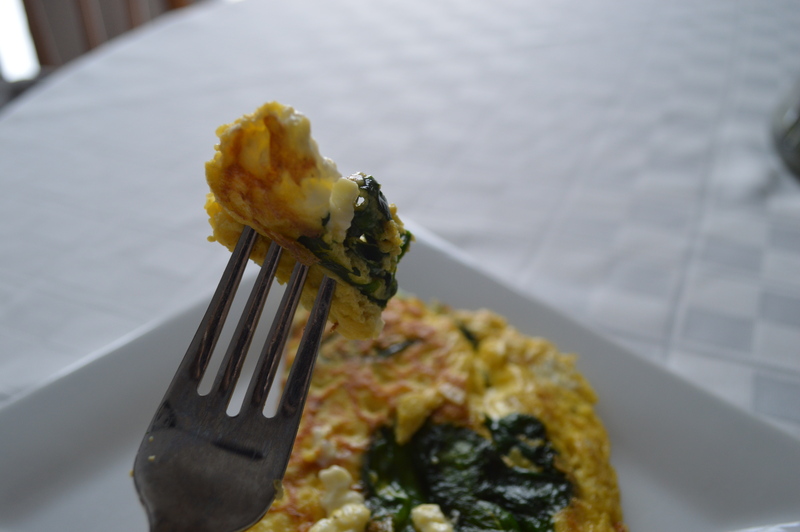 Eggs are great to add to your diet when you are trying to lose weight, especially at breakfast. 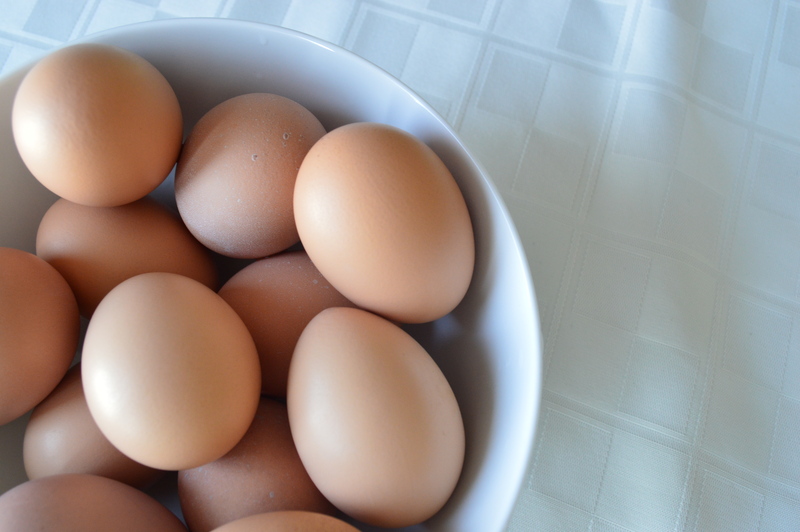 There are studies that show eating eggs at breakfast can reduce your calorie intake by 400 calories per day. 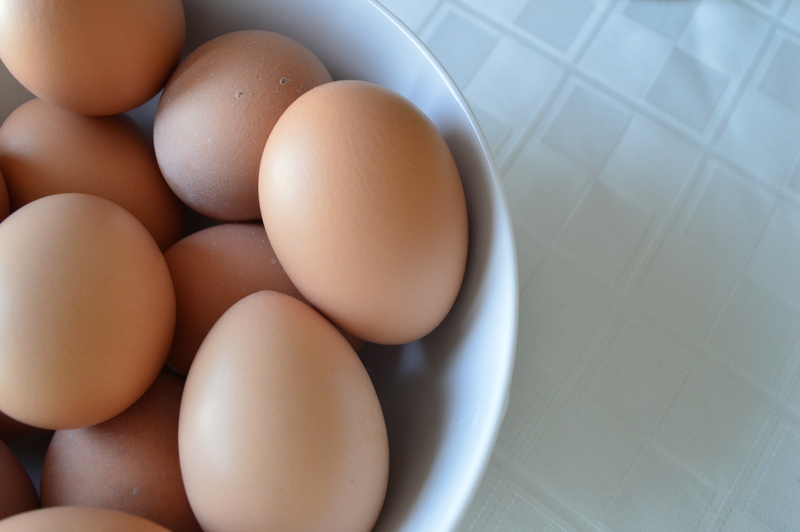 This is because the protein in eggs makes you feel fuller longer and you likely eat less than normal at your next meal. 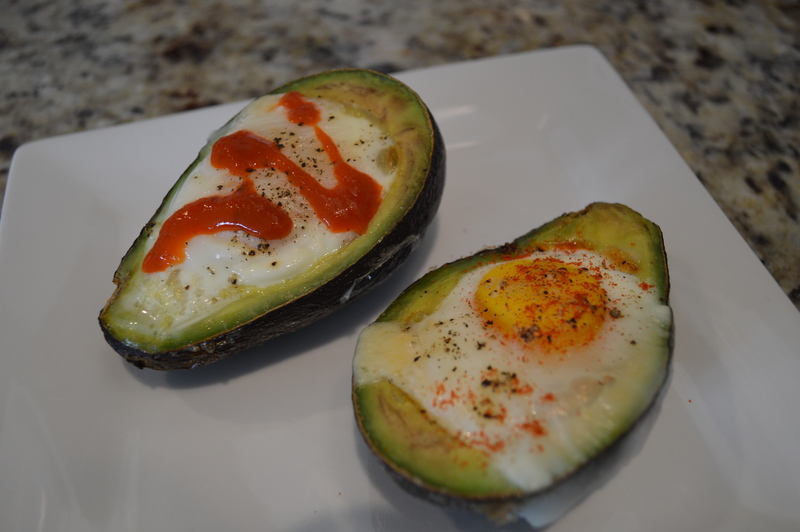 The protein in eggs also gives you tons on energy in comparison to a carb-ladden breakfast so you are able to take on your day. 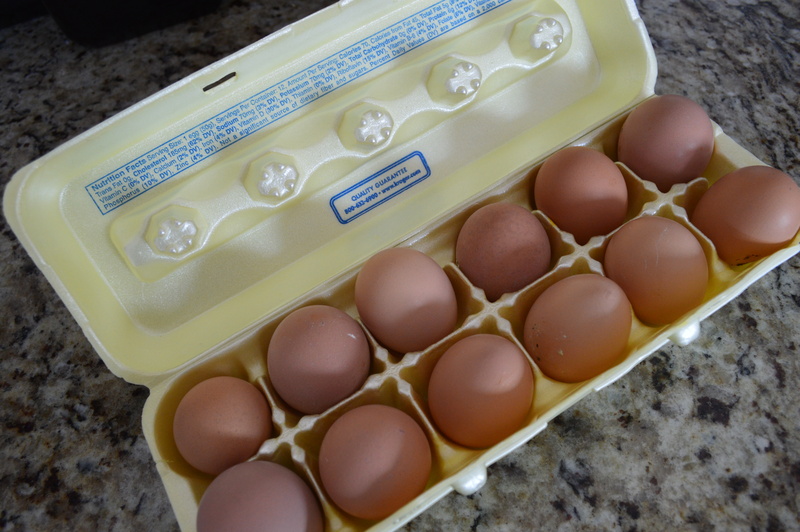 In the 1960’s there was a campaign by the Egg Marketing Board saying, “Go to work on a egg.” The old adage is true and is something Adam and I have adapted thanks to our continuous supply of eggs. 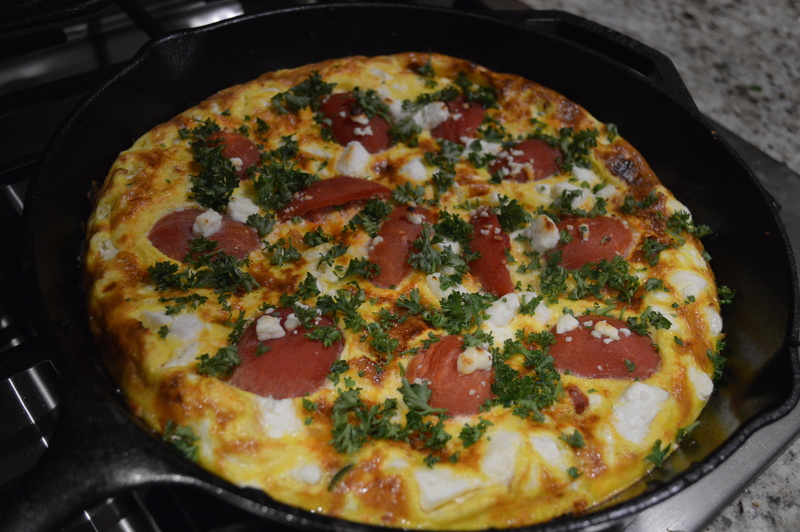 Below is one of my favorite omelette recipes that is super easy to create at home. When I was twenty my family went on a Mediterranean cruise to celebrate my parent’s twenty-fifth anniversary. Everyday was jam packed with sightseeing and beach-ing so this was my go-to at the make your own omelette station on the boat. It was light, yet gave me tons of energy for our busy days. 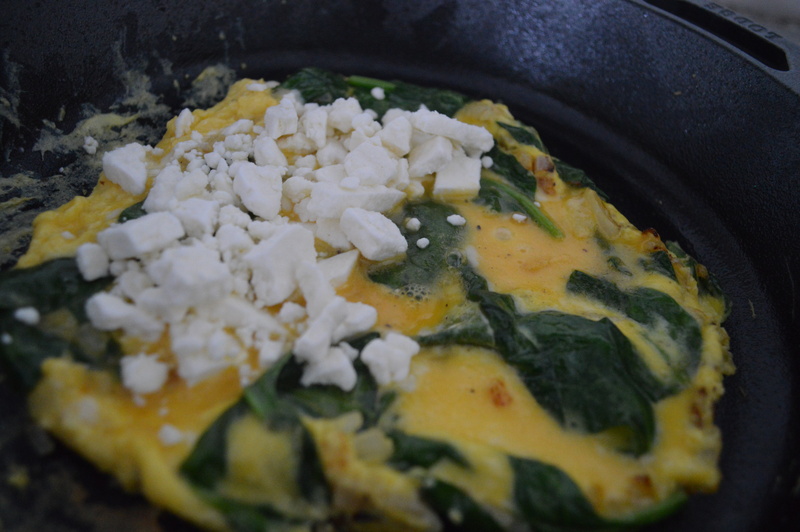 Feta and spinach are often in our fridge (Or garden, if it’s summer!) so not a lot of thought goes into recreating this one. 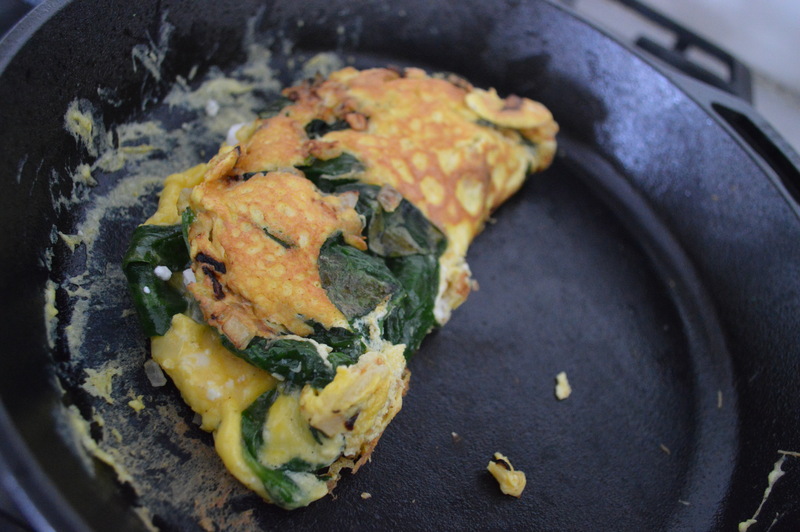 Omelettes can be intimidating and a little tricky. 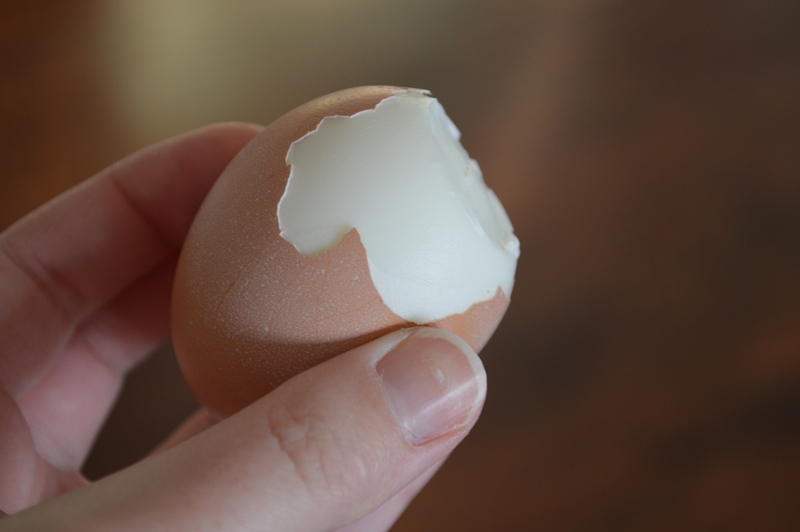 The way I see it is, if it looses it’s shape and becomes more of a egg scamble, who cares? It all taste the same in the end! 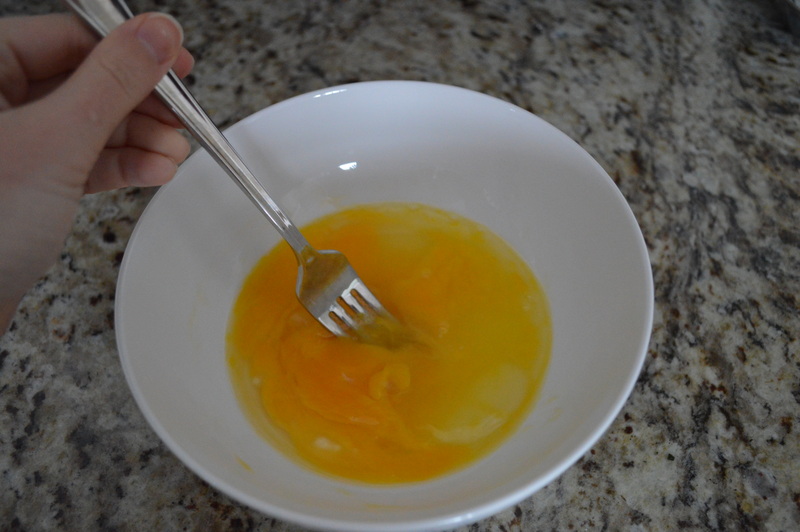 Crack three eggs in a bowl, add a little S&P, a tablespoon of water and whisk with a fork. 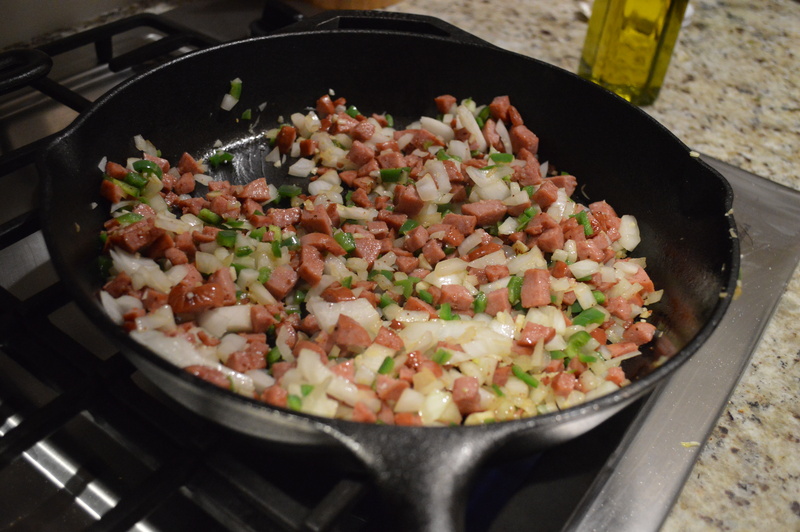 Melt a tablespoon of butter (Olive or grapseed oil works great too) in a skillet. 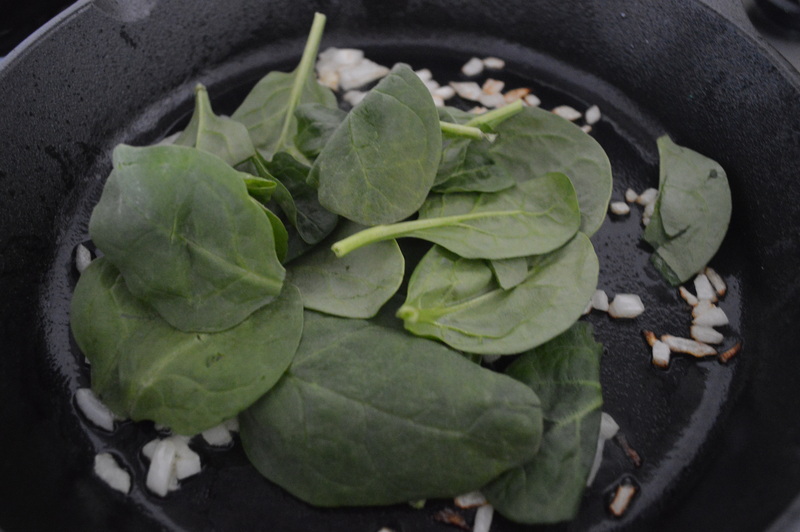 Add Onions to cook, add spinach after onions begin to become golden. 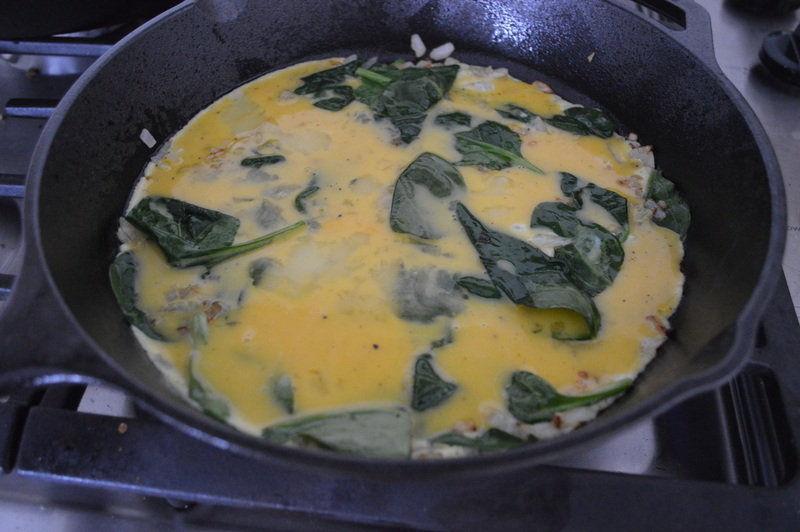 Stir to combine as spinach begins to slightly wilt. Add egg mixture to coat bottom of skillet. Cook together, peal back sides with a spatula. 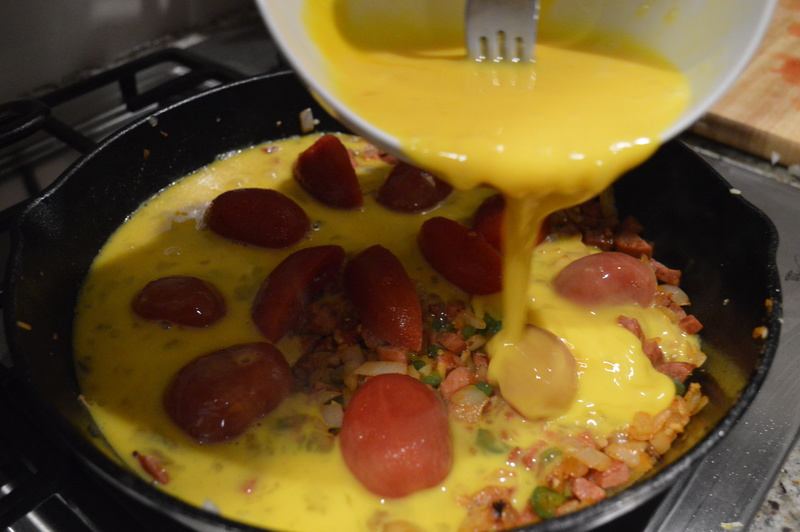 Once nearly all the egg is cooked and pulls from sides of skillet add cheese. 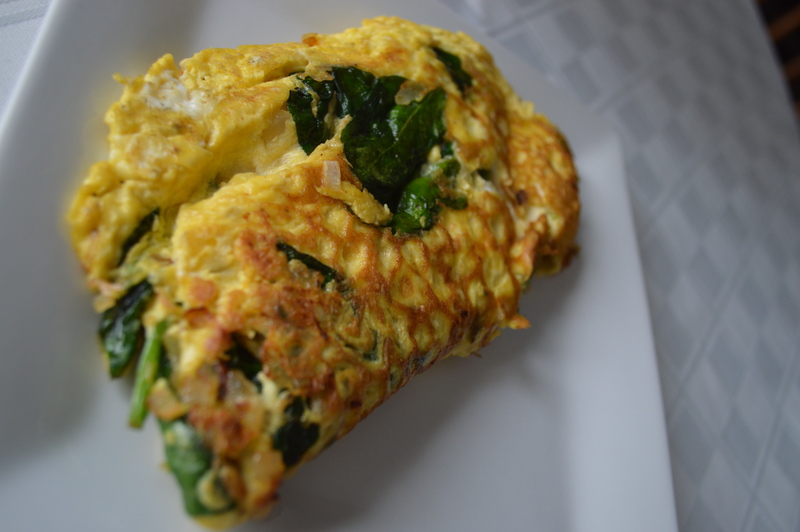 There are so many great combinations of flavors that are great in omelettes. A close second favorite for me? Mexican style with lots of pepper, spice and salsa! 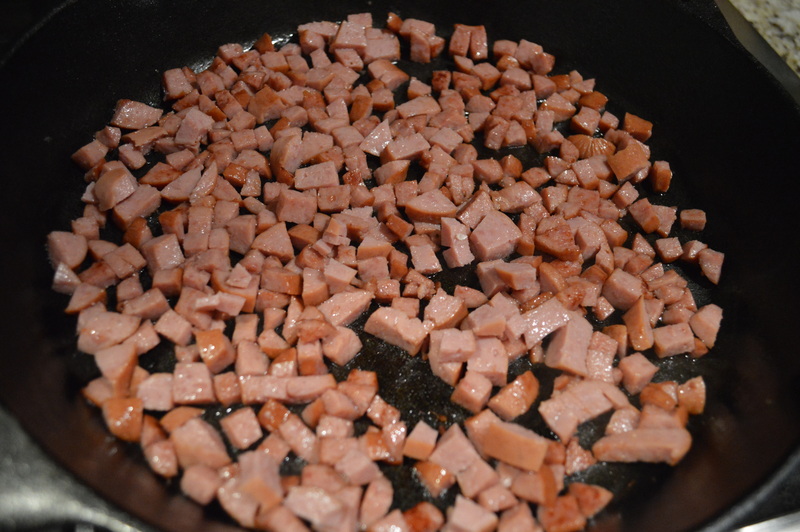 I started 2014 with a cleanse where I eliminated sugar, alcohol, dairy, grains and starches. I lost six pounds in ten days. The strong skeptic in me assumes it was because I was saving my daily booze calories… and yes, okay, it was a little drastic. It’s not the best idea to go cold turkey with anything. But, it wasn’t a huge adjustment for me. I kicked my soda addiction and hopped on the H2O train a few years ago saving myself from sugary beverages. (I was a major Diet Coke lady and this was actually easier than you would think.) Bread has never really been a staple in our house, unless I make my- now famous- Rosemary Focaccia. 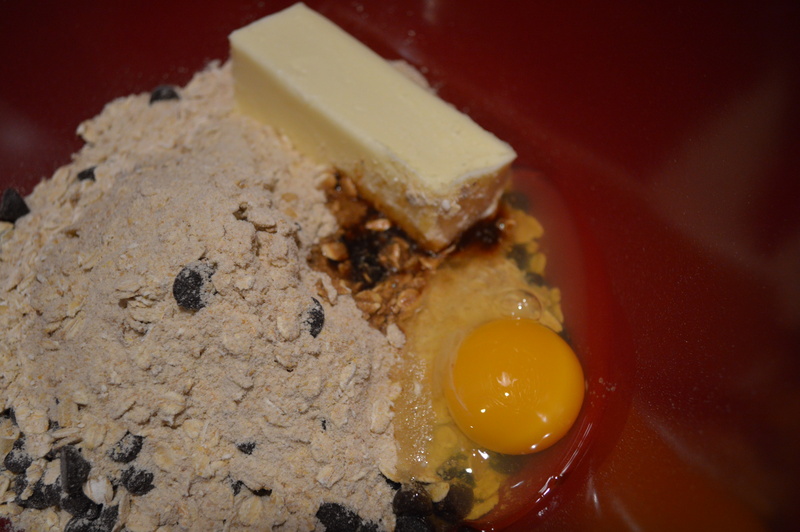 But, getting out the mixer is a workout in itself so it doesn’t happen often. And Adam and I obviously love, love, love any and every veggie, so incorporating even more into our meals is no problemo at our house. However, in the spirit of being honest, wine and dark chocolate have been missed. I actually finally caved and had two glasses of red wine last night. But, in my defense, it’s been nearly three weeks. GO ME! And I have read enough about the heart benefits of drinking red wine that I would basically call it a health food. 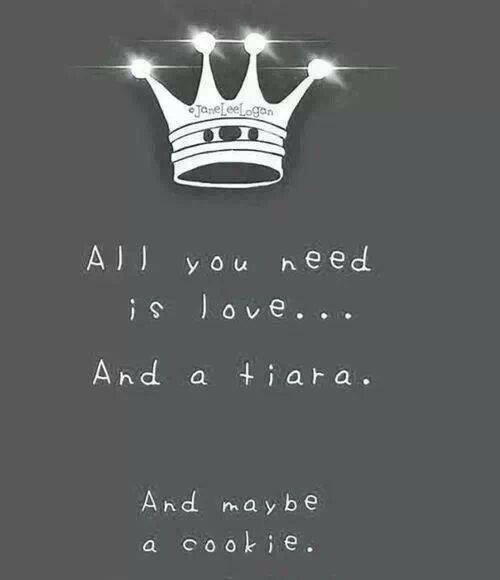 Basically. But, what the cleanse really did was make me much more aware of what I am putting in my body when I eat. Yes, I try to eat organic, local and clean. I have for quite sometime now, but I now know so much more about the science behind these and other choices I make. Sugar has been a big one that I plan to continue to watch. When consuming sugar I want to find it from more natural sources, like fruit and agave. Too much sugar is linked to inflammation and significant signs of aging. Not to mention, many sources of sugar are full of unnecessary calories. I also plan to put focus on getting a majority of my calories from vegetables and good sources of protein. Fortunately, both of these are found right in my back yard thanks to the garden and chicken’s eggs! 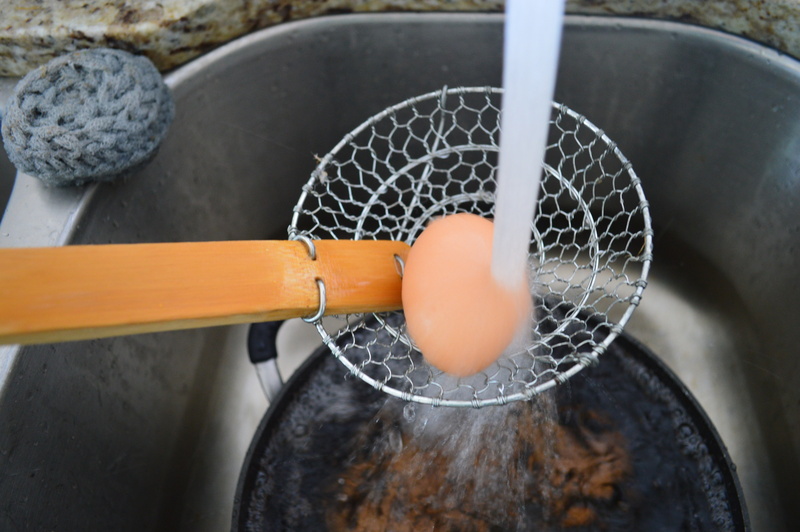 Over the years, eggs have battled a bad reputation due to their link to high cholesterol and heart disease. I remember “experts” talking about avoiding eggs all together throughout my childhood. 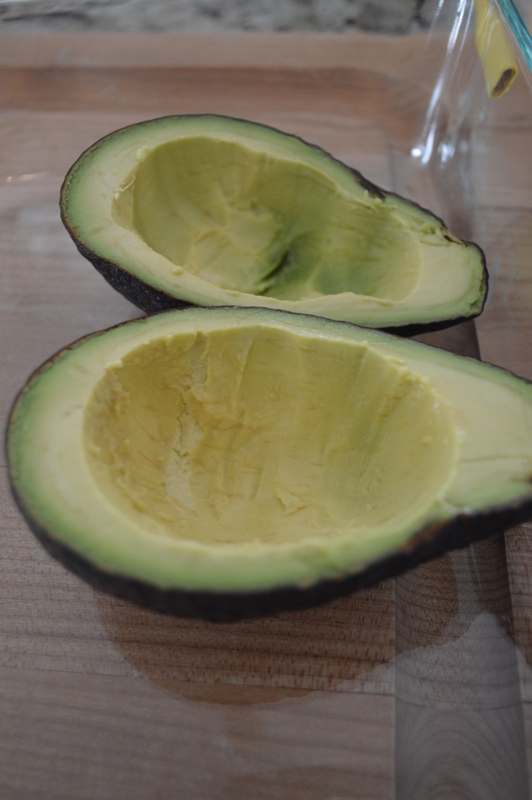 But, here’s the deal: Your body needs a good balance with fat and cholesterol. 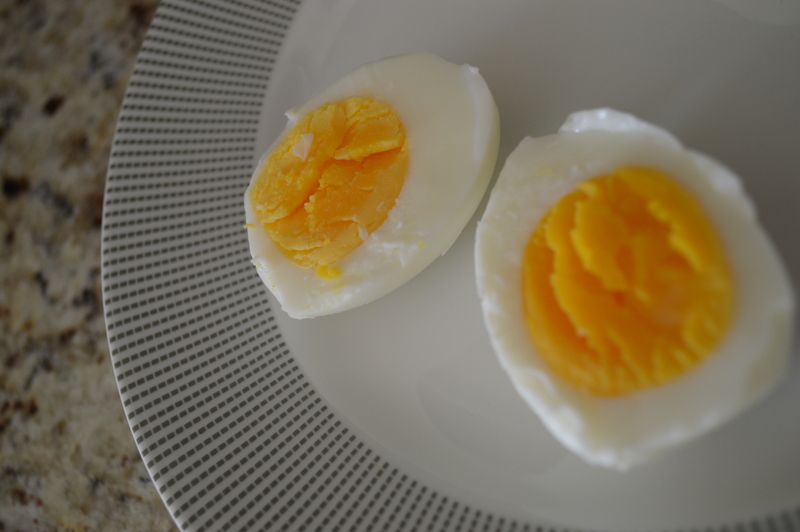 Good fat, like the fat in eggs helps maintain that balance. Fat from fried food? Not so much. 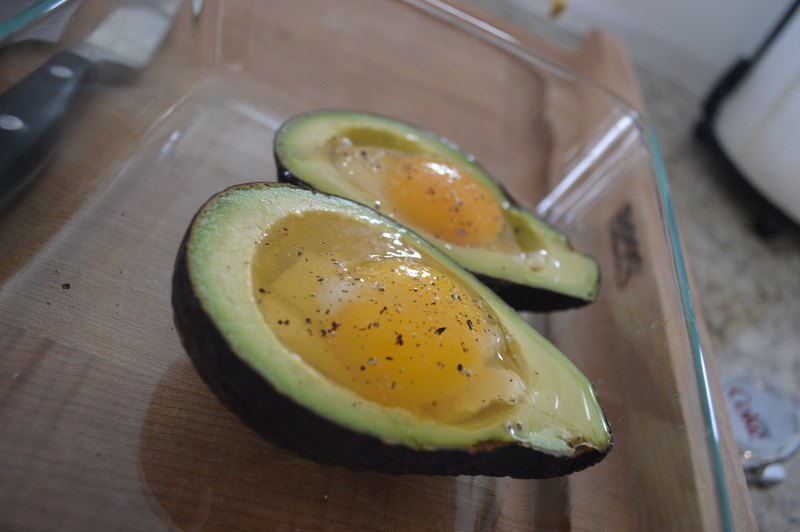 Thanks to the good fats found in eggs it allows for the better absorption of the many other vitamins found in the little spheres, including Vitamin A, B Vitamins, protein and potassium. These nutrients aid in muscle, brain and nerve development. 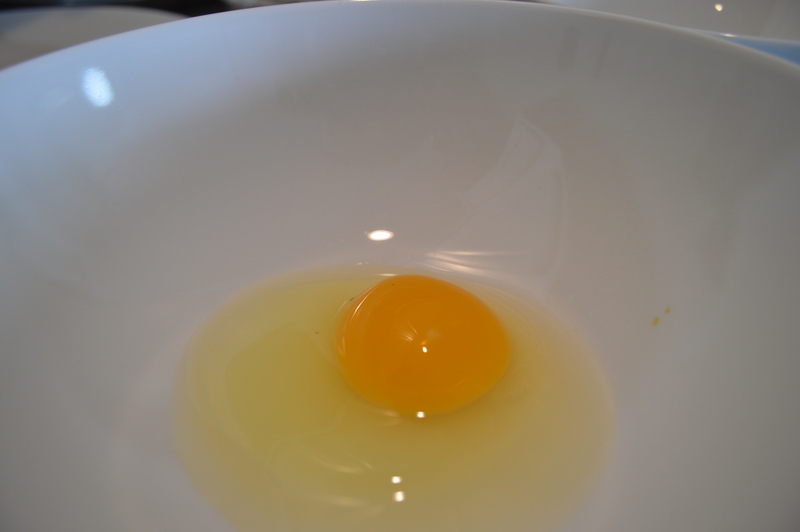 In fact, there are few foods out there that have as many nutrients as a single egg! 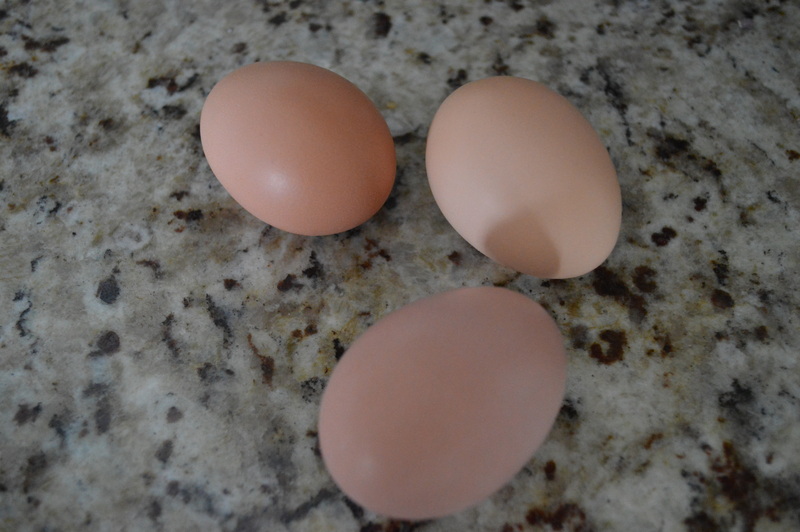 The chickens have been major troopers with all the snow and freezing temperatures in Indiana this winter. 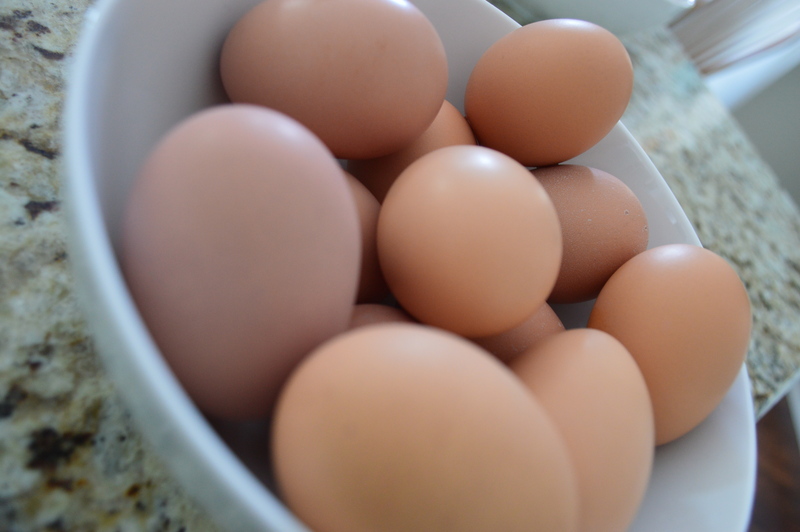 So, I have decided to showcase them on my little soapbox for the next week to express my “thanks” for their daily gifts: their fresh, nutrient packed, brown eggs. 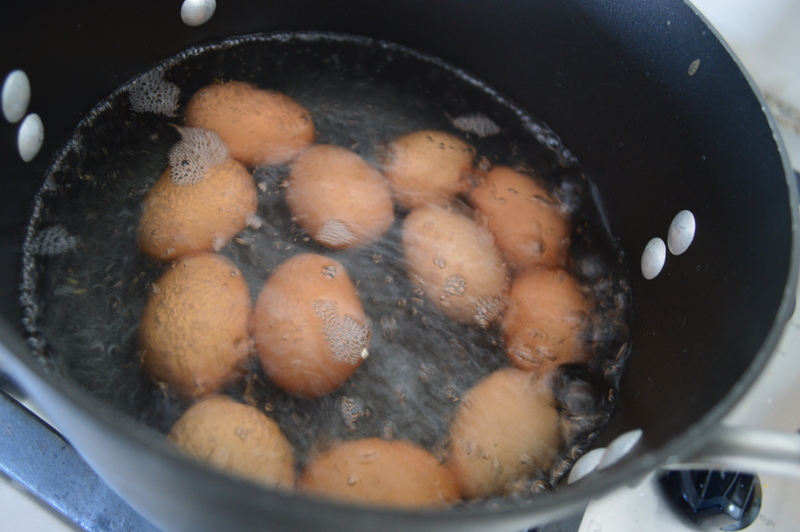 Everyday this week there will be a post on Bloom featuring an egg-cellent recipe and some egg-citing facts! It’s going to be egg-straordinary! … I crack myself up.